The persecution of Christians in the Middle East and in parts of Africa is the impetus for the historic meeting between Orthodox Patriarch Kirill and Pope Francis that will take place in Cuba next week. This was the explanation given today at a press conference by Metropolitan Hilarion of Volokolamsk, chairman of the Department for External Church Relations (DECR) of the Russian Orthodox Church. The European Parliament on Thursday voted to recognize this persecution as genocide. 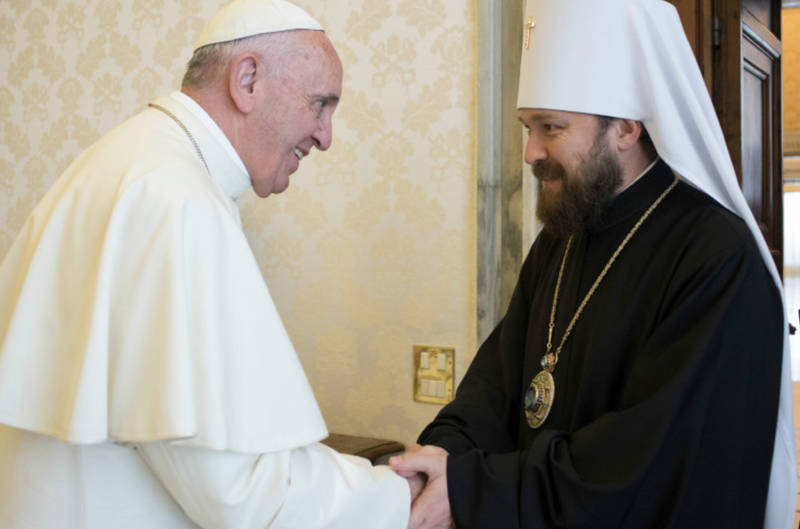 Metropolitan Hilarion explained why a meeting between the Pope and the Patriarch has never been possible, despite years of negotiations, offering his summary of the continued tensions between the Russian Orthodox Church and the Catholic Church. These tensions involve the “Uniates,” particularly issues in Ukraine, which have worsened recently with the conflict there.